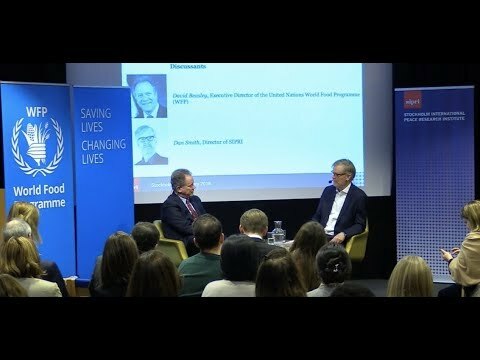 Operation 1325 attended a seminar arranged by Stockholms International Peace Research Institute (SIPRI) where David Beasly, Executive Director of WFP, and Dan Smith, Director of SIPRI, discussed the relationship between hunger, security and peace. They discussed the situation in war-damaged countries where women and children suffer the most. The wishes for the future are that food can be used as a weapon of peace which hopefully prevents conflicts.